This piece is based on Rapunzel by the brothers Grimm. Its a digital painting in photoshop using a wacom. Its ok but it took sooo long and honestly i think it would have turned out better had i just painted it. 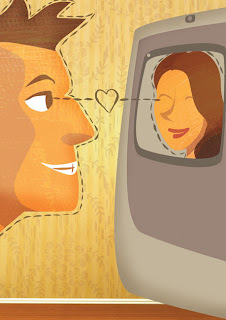 The brief for this piece was to do an ad for an online dating service based on the tagline 'On the prowl'. I did a lot of roughs before settling on this one. I also tried a B&W version of this image with the love heart in red. I am still divided on which one i like best. 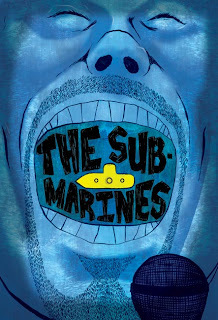 This is an update of a poster i did for the band The Submarines. I really like it!